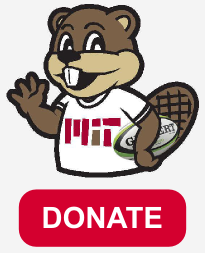 On September 10, 2016, MIT traveled to Dover, MA to take on Boston Maccabi RFC. James L. argued with the ref for 80 minutes. Tries were scored by Jarrad, Chris W. and John F.
MIT will play Harvard Business School at 7:00 PM on Thursday, September 8, 2016 in a pre-season scrimmage at Harvard. Players please bring cleats, water, and a mouth-guard, and meet outside the Kresge Auditorium at 6:15 PM for transportation to the game. On Saturday, May 7, 2016, MIT took on the Fairfield Yankees in the sweet sixteen round of the national DIII playoffs. There was a lot of excitement during the week leading up to the match. Both teams were visited at practice during the week by a former New Zealand All Black & Hawkes Bay player. Coach Sean was excited to have a fellow Kiwi at practice. Apparently Coach Brad was even more excited for the playoffs as his pants literally split open during Tuesday’s training. On Saturday, April 30, 2016, MIT traveled to the Irish Cultural Center in Canton, MA to take on Old Gold RFC in the NERFU championship game. MIT and Old Gold split the fall series 1-1 with a combined scoring difference of only 7 points. So MIT knew they were in for a battle. The game turned into quite the spectacle, with multiple lead changes, a yellow card, long tries, crushing tackles, and late heroics. On Saturday, April 23, 2016, MIT traveled to Stowe, Vermont to take on Mad River RFC in the NERFU semi-final playoff match. MIT controlled possession and territory in the first half but were a little too eager with the ball and squandered several scoring opportunities. A forward pass in the backs called back one possible try and some scrambling Mad River defense stopped Hacksaw from another possible try. MIT were able to score first on a penalty kick from 25 year old kicker John G. Just before half, Mick took down the ball in the line-out. Caleb carried the ball and Nick rucked over. On April 9, 2016, MIT hosted Division II side Portland RFC at Briggs field. The teams agreed to play three 30 minute periods. MIT were eager to show that they could compete with the team from the higher division. Early on, MIT did just so. MIT kicked off the scoring with the same way they did the week before: a counter attack leading to a long run and score from winger Jonah. On Saturday, April 2, 2016, MIT hosted Harvard Business School at Briggs Field on a rainy day for their opening game of the spring season. With the team’s jersey bag out sick with the flu, MIT took the field wearing a hodge-podge of jerseys, practice shirts, and anything else that looked maroon. Both teams showed signs of rust in the first 10 minutes and there were lots of dropped balls due to the rainy conditions.